Comparing safety features is what we do best. 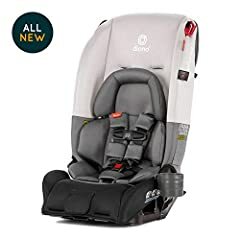 If you’re on the hunt for a Convertible Car Seat (or infant car seat, or stroller…) give us a call at 617-383-8259 or email us at questions@mbeans.com. Gear Gurus who love to geek out are standing by. Does Diono make a cheaper option that’s just forward facing but still offers the narrow seat width? I need to fit 3 across, but would like to save a bit as I’ll have to be buying all 3 now. Chrysler apparently makes the most narrow row for 3 across. I personally have never had an issue with install with them. But over the last year I keep getting criticized for recommending Diono’s on a car seat Facebook group. The Car Seat technicians on the group say they are not recommended due to a kick out with the install. So what’s your opinion on the kick out issue? I just read that Diono RXT have been recalled prior to 2017 purchases. I purchased 3 in 2016. Is that true?? You never talked about the harness weight limits. People talk a lot about width of this carseat, but not a lot about the length. How much space does this seat take up back to front when reclined for rearfacing? 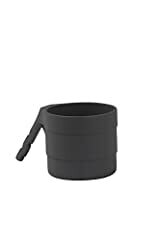 I drive a Ford Fiesta and my main concern with finding a carseat that fits in my car is length, not width, because I want my front passanger to be comfortable, not squished up against the windshield. 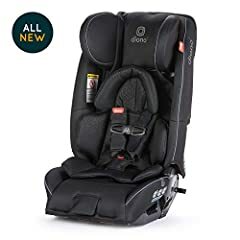 Will these carseatd fit in my car, or is there another seat that you recommend? I’m trying to decide between the radian rXT and Rainer. Must have is to fit 3 wide in vehicle. Would both fit?? 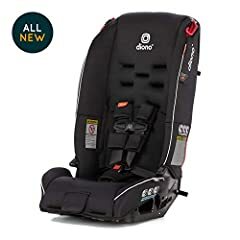 Do you have a website to an reliable source for diono car seat safety review in a crash test?